<p><strong>An examination of the personal and professional relationship between two important American photographers.</strong></p> Margrethe Mather has been remembered mostly through the commentary of fellow photographer Edward Weston, who referred to her as &quot;the first important person&quot; in his life. In fact, Mather was probably the greatest influence on the development of Weston's early career. Although Mather's little-known body of work has always held its own in the company of great photographs, her biography and influence have never been thoroughly investigated, in no small part due to her own reluctance to reveal the details of her colorful, sometimes sordid life. This book illuminates the professional and personal relationship of Mather and Weston, adding an unforgettable chapter to the history of twentieth-century photography. Mather and Weston first met in Los Angeles in 1913. They soon developed a close relationship, eventually working together as full-fledged artistic partners and even co-signing the photographs they produced. 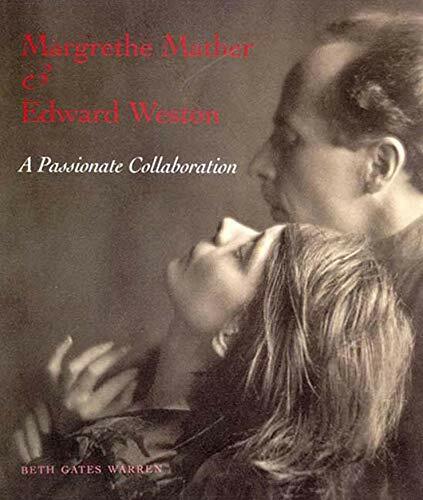 Weston was also madly in love with Mather, and the two engaged in a brief affair during his first marriage, although Mather was more interested in women. This book, which features work by both artists, chronicles their twelve-year association and sheds light on Mather, whose artistry, sexual identity, and mysterious past were overshadowed by the massive reputation of Edward Weston and his subsequent association with Tina Modotti. Beth Gates Warren is a historian of photography and the former director of Sotheby's New York Photographs Department. She lives in Lake Forest, Illinois.